Anyone planning to use public transit today should be prepared with two things — warm clothing and exceptional patience. TransLink has reported a number of service disruptions and delays due to the poor weather. Also, despite extensive snow clearing, vehicles are still travelling at much slower speeds in many areas. 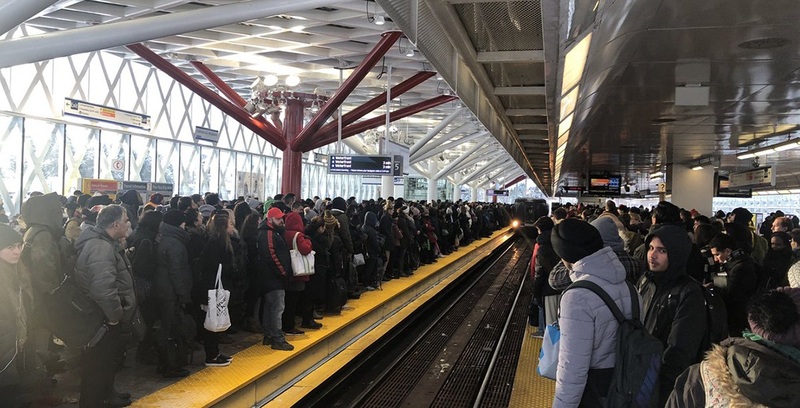 As a result, public transit is dealing with tremendous crowds and dreadfully long wait times across the Lower Mainland. At New West Station. 2 trains in the past 40 minutes. What is up, @translink?